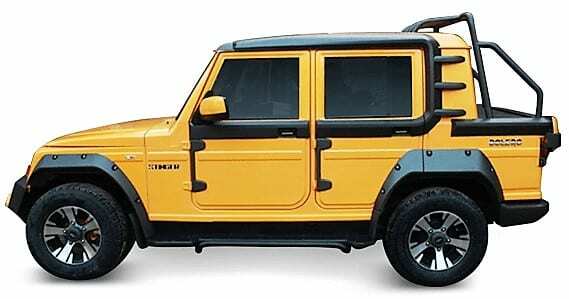 Mahindra Bolero Stinger 3 is the most modern avatar of India’s favourite UV. The car comes with Sunny Yellow paint finish with metallic chrome and pearl finish on the outside and contrast Yellow inserts on the black interior. The seven-seat car is now good for five passengers as the last row has been successfully converted into an open deck. The rear comes with a modified tire mount with a yellow cover and black outline. The deck section looks unique as the loading area is limited and more like a visible addition than the practical one. 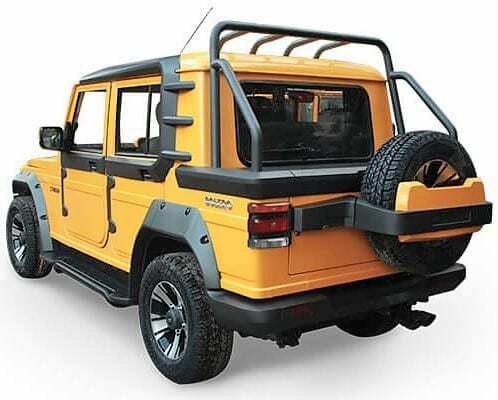 The side profile features extended wheel arches and chrome alloy wheels with off-road tires. The side profile also features thick cladding around the window belt and C-pillar area. 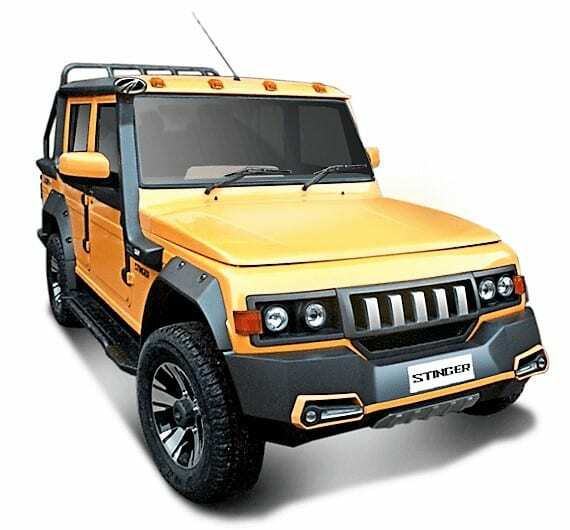 The front section comes with custom-designed grille, headlight with dual barrel halogen lamps, black bumper highlight, faux skid plate, and a visible snorkel. 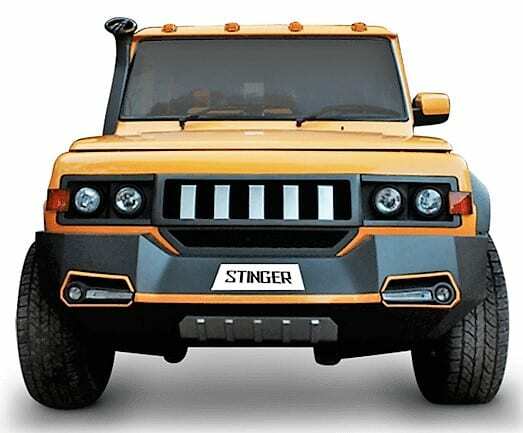 The highlights help Mahindra Bolero Stinger 3 claim a special status among all modified models as the majority of modifiers use dark shades for SUVs. 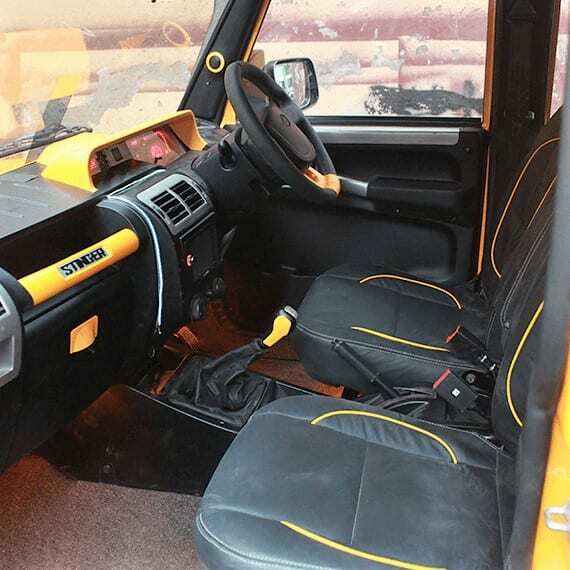 The interior features black seats with Yellow visible lines, Yellow gear shift lever and matching dashboard inserts with Stinger branding. 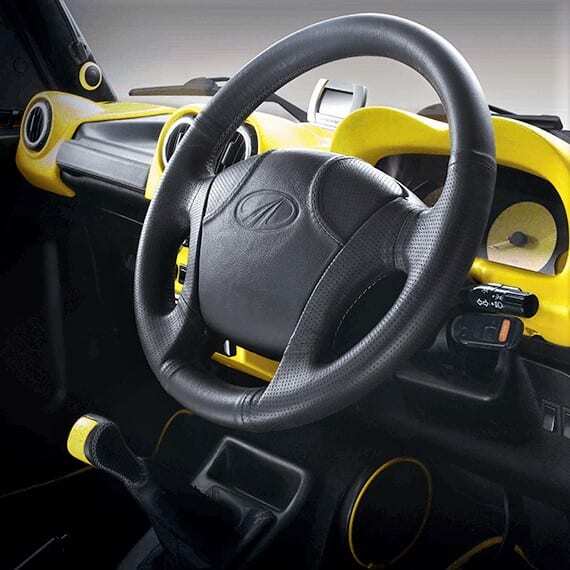 The steering wheel also has a yellow arm for raising the overall character. 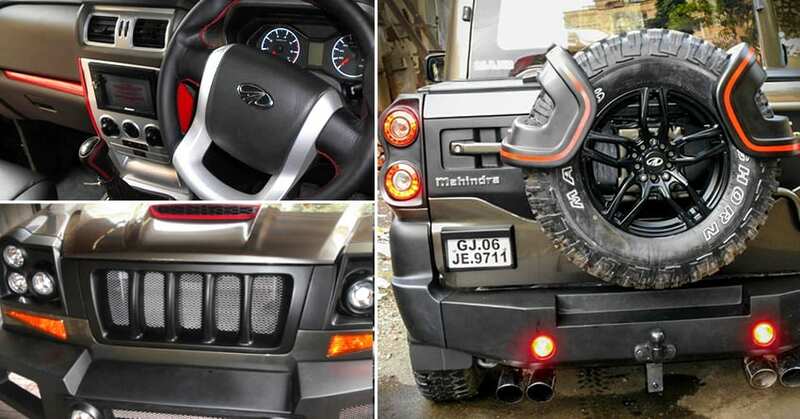 Mahindra Bolero comes with an all-digital instrument console and optional 4WD for the Indian market. Majority of the buyers go for the Power Plus variant as it measures under 4-meter and saves a lot on the overall cost with a smaller 1.5L engine. The bigger engine is also the least powerful among these two and thus, brings no benefits in total. The ex-showroom cost difference is also visibly huge for both the models. 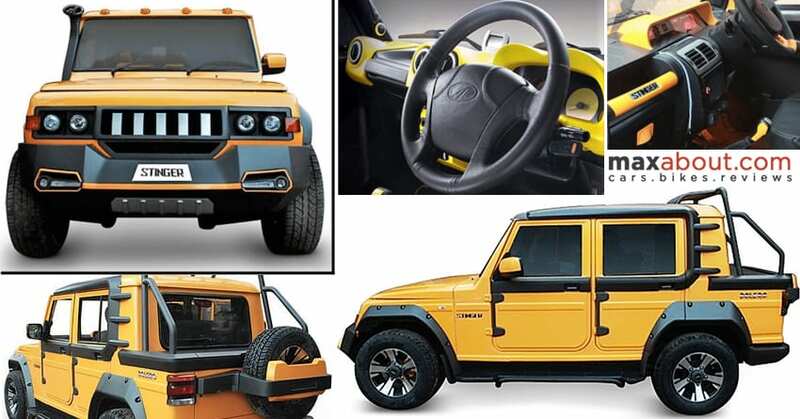 The cost occurring here is unknown while interested buyers can contact their nearest Mahindra dealership for the customization process and cost. Mahindra range of cars start from the KUV100 NXT and goes up to the mighty Alturas G4.